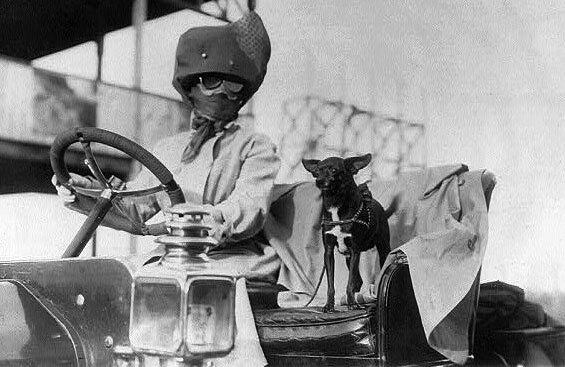 The Edwardian lady had a chic wardrobe for motoring through town and countryside. In the early days of motoring, fashions for women bore a striking resemblance to that worn by a hard-working machinist. There was no thought of beauty or style in its designing; but by the early 1900s the Edwardian motoring lady had many and varied coats, each one decidedly interesting from the fashion viewpoint. She had smart, chic-looking jackets made of the softest Danish kid and she had luxurious fur coats that appreciably diminished her bank account. History of active wear over the past 150 years. A time when the wrong outfit could lead to disgrace and scandal. Shapely curves were concealed with undefined box-shape fashions... and flat-chested was in! From clothing and accessories made with poisonous dyes and chemicals to the effects of constricting corsets and impossibly narrow footwear.